In this day and age, we just don't like a brand. We become a part of the brand. We live it, breathe it and embody it. The most successful brands and companies go deeper than simply chasing sales, they become one with the culture. We were founded by the principal that brands leading the charge in the cultural change will be far more successful than those merely trying to survive in it. GazeGod Records recording artist Treesil P releases official music video for his smash new single “Right Now” featuring labelmate PeeDaProfit. In the Spring of 2018 independent artist Tressil P along with PeeDaProfit released “Right Now” and the song began to garner attention and recognition in the independent and underground Hip-Hop markets. raised by a single mother in one of the poorest villages on the continent of Africa, Treesil P gravitated to the sounds of legends like Michael Jackson and Bob Marley, as Hip-Hop icons the likes of Snoop Dogg and Jay-Z. With these influences in tow Treesil decided to embark on a musical career. As a young teen He immigrated to the United States, ultimately settling in New York City the birth place of Hip Hop music. This impacted Treesil greatly and he decided to embark on a music career. Currently in his 20s Treesil has already began to make noise in the New York underground music scene and is ready to take his message to the mainstream. In 2017 he released his debut single “Vibe it Up” which was well received by deejays and industry insiders alike. Treesil followed that up with “Higher” a song that pays homage to the hustlers and “go-getters” of New York. The success of his first two offerings lead him to form relationships with key members of the music industry. Produced by Grammy award winning producer Omen, “Right Now” is slick up-tempo track laced with an old-school feel but with a modern vibe. Armed with a catchy chorus, Treesil provides a unique sound and flow reminiscent of Nelly or Cash Money’s Juvenile. He is matched by PeeDaProfit’s contemporary rap stylings, P’s impressive wordplay and top-notch delivery brings a fierceness to the record that compliments Treesil P’s braggadocio and swag filled crooning. “Right Now” has received airplay on several local and mainstream radio outlets, this includes FM radio mix-shows as well as internet radio rotation. Treesil P and PeeDaProfit has performed the single at several New York City hot spots such as Karma Lounge and Santos Party House to name a few. In addition, “Right Now” is gaining traction on various streaming platforms such as Spotify, TIDAL and Soundcloud with additions to numerous playlists. New York Rising Star Nyasia Chane’l Drops Single “Do It Like That Remix” featuring Jay Bankz. Now Playing on Major New York City Radio Station. On a balmy summer night surrounded by family young R&B songstress Nyasia Chane’l excitedly listened as her song was being played. That Sunday night on July 29, 2018 DJ Norie of Power 105.1 FM debuted the remix to her single “Do It Like That” featuring Dancehall artiste Jay Bankz. Originally released on January 2nd of this year “Do it Like That” was written by Nyasia and produced by Vic On The Beat. It was well received by both industry insiders and the public a-like. “Do it like that” began to garner moderate success, receiving airplay on local and internet radio stations across the country. Audiences enjoyed the track during her live performances. Nyasia feeling that the Caribbean vibe of the song needed to be refreshed, enter Jay Bankz, who contributes an authentic "dancehall deejay" element which perfectly complimented the sultry vocals on the record. Jay Bankz is an up and coming independent artist hailing from Jamaica and currently resides in the United States. 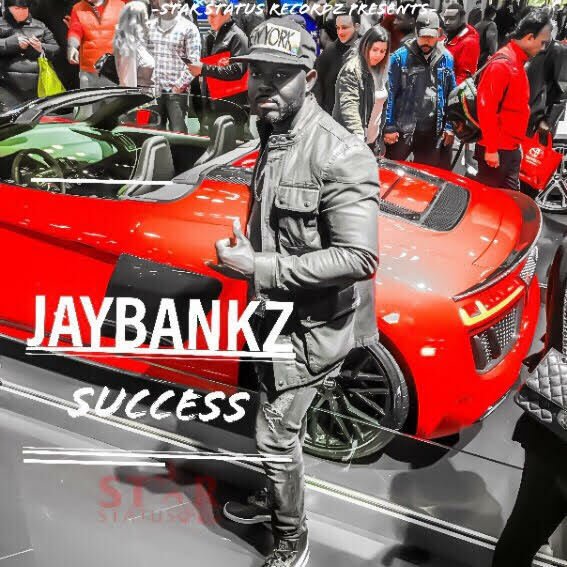 Jay Bankz latest single “Success” is making its way up the independent Dancehall charts in Jamaica and is one of the most sought-after rookies in the game. The artistic chemistry between Bankz and Nyasia has been prominently on display all summer long during their live performances “Do It Like That” is currently available on all major streaming platforms and on SoundCloud. Nyasia Chane’l grew up in the small town of Fallsburg in the Catskills region of Upstate New York. Known then as Nyasia Harris she began to express herself creatively at an early age. “I’ve been singing since I was 4 years old. Music has been my passion and my creative expression all my life.” She says. Through the years she was always singing. Dazzling both parishioners in the pews at church and her fellow classmates in the halls of her high school. It was always evident that Nyasia had raw talent, so at the age of 20, she began exploring her music more seriously. Nyasia recorded a demo, and after hearing her own voice through the microphone, she knew that this was something she could enjoy doing professionally. With the encouragement of her friends and family, Nyasia began to write her own songs and record them. She started to create her own sound based on the R&B and Soul singers she grew up listening to. Her music began to spark local interest and she was invited to perform at various venues across the tri-state, including performing with the legendary Blues performer, Grand Slam Allen, at the Resorts Worlds Catskills Casino, and as an opening act for award-winning R&B crooner August Alsina at the Chance Theater located in Poughkeepsie, New York. In May of 2018, she began working with Mike Boogie Promotions and started hosting several events in New York City. Events including AOS Entertainment’s DJ Chris Dollar’s official Celebrity Birthday bash alongside Funk Flex at Orbit Nightclub, Transition Thursdays at Karma Lounge, SoHo @ Park’s 2018 NBA Draft after party and several others. She hasn’t let this sudden success go to her head. However, Nyasia knows how fortunate she is to have the opportunities afforded to her. Her willingness to stay humble and her determination to work hard are the hallmarks of achieving her dreams. Her ultimate desire is to share her gifts with the world. “I want the whole world to know my name, and to recognize how serious I am about my music”. She said. ​"Do it Like That" Remix is available on all streaming platforms and be on the lookout for Nyasia Chane'l featured events as she has several appearances scheduled. ​Queens native DJ Chris Dollar is set to have one of the biggest weekends in his career. Starting with his celebrity Gemini birthday bash alongside "The Kingpin" Funk Flex and hosted by Hot 97 radio personality TT Torrez, this Friday, May 25th at the Orbit Night Club in New York City located at 637 west 50th Street New York, NY. This event is expected to feature a who's who of industry heavyweights and insiders with many celebrity guests. In addition, DJ Chris Dollar will make his debut on Hot 97 this Sunday, May 27th from 6 am to 7 am part of the station's annual "All-Mix Weekend". Finally this week Dj Chris Dollar drops his new mixtape "Money, Power, Respect Volume 3" with the exclusively recorded "100 Racks" by Kaio Kane featuring Lil Baby and LouGotCash. This is the third installment of his M.P.R. series which has been well received by both fans and industry insiders alike. 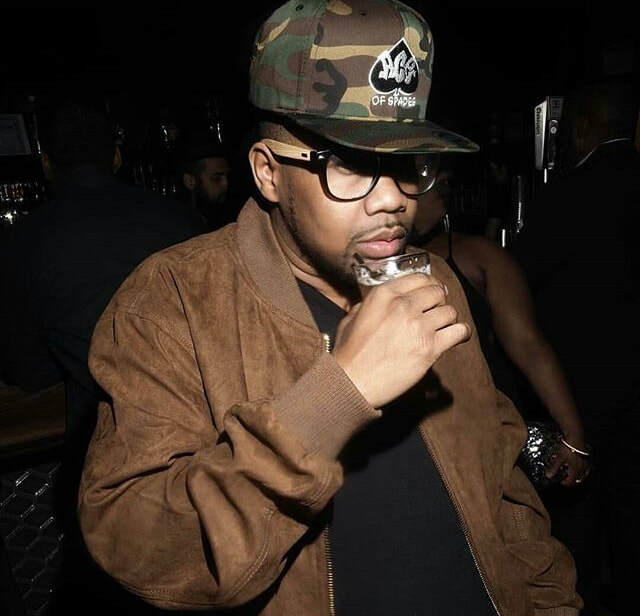 In the past few years under the tutelage of mentor & manager Adante Ace, DJ Chris Dollar has become a staple of the New York party and club scene. Chris has appeared on the same bill with many legendary turntablists. And has gained the respect of fellow deejays such as Funk Flex, DJ SnS, Dj Envy, Dj Self, DJ Camilo, DJ Prostyle and others. His impressive achievements included hosting events throughout the United States including Puerto Rico; as well as international events in places like Mexico and parts of the Caribbean; three well received and critically acclaimed mixtapes in addition to a modest hit single "Feel it (I Love NY)" which garnered major radio airplay on New York radio stations including Power 105.1. We expect this summer to be a pivotal moment in the career of DJ Chris Dollar. With hit records, a hot party, the admiration of fans and the respect of his peers the sky is the limit for this young man. This past Thursday, PnB Rock Rock's "Catch These Vibes" tour hit Montclair, New Jersey's famed Wellmont Theater on March 15, 2018 The "Selfish" Hip-hop star invited hometown star deejay/rapper DJ Jay Hood and Newark's hottest independent act G-Wreck to warm the crowd up. During his set. G-Wreck and DJ Jay Hood performed the street anthem "Haters" in front of a sold-out crowd. This marks G-Wreck's debut concert performance raising his profile amidst industry insiders and increasing his notoriety amongst music lovers. 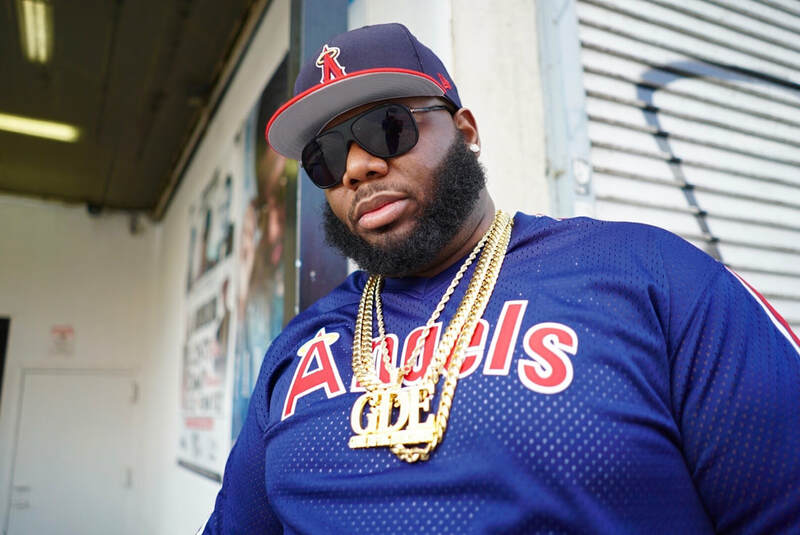 G-Wreck signed with 100 Keys Entertainment; an independent entertainment company and in October of the same year G-Wreck appeared on the compilation EP entitled "Before The Fame". G-Wreck provided the chorus for the EP's first two lead singles. With the release of "100 Keys" and "Nightmare" G-Wreck and 100 Keys began to quickly make an impact on the music industry, garnering featured postings on music news sites, blogs as well as garnering airplay on several major radio outlets including both New York juggernauts Power 105.1 and Hot 97. On January 16, 2018, G-Wreck made his debut single "Lost For The Night" available on all digital music platforms. This up-tempo Caribbean influenced pop hit has been added to over 20 Spotify playlists with nearly 27,000 streams, over 230,000 Soundcloud listens, numerous blog features while receiving consistent radio play from radio stations all over the country. G-Wreck is steadily building his fan base and is well on his way to becoming a household name. ​Independent Hip-Hop/R&B artist G-Wreck releases his debut single “Lost For The Night”, the lead single for his upcoming EP/Mixtape “Look At Me” which is scheduled to be released on February 14, 2018. "Look At Me" is pack full of club friendly and radio‐ready hits. This project will ultimately be one of the stand-out projects of 2018.
phenomena and makes the timing of his arrival impeccable. G-Wreck’s musical influences include Bruno Mars, Kendrick Lamar, Drake, Michael Jackson and Prince. By combining all the elements of the modern‐day pop star, G-Wreck’s music contains infectious choruses, superb melodies and timeless lyrics, all combined with a street edge and urban appeal. 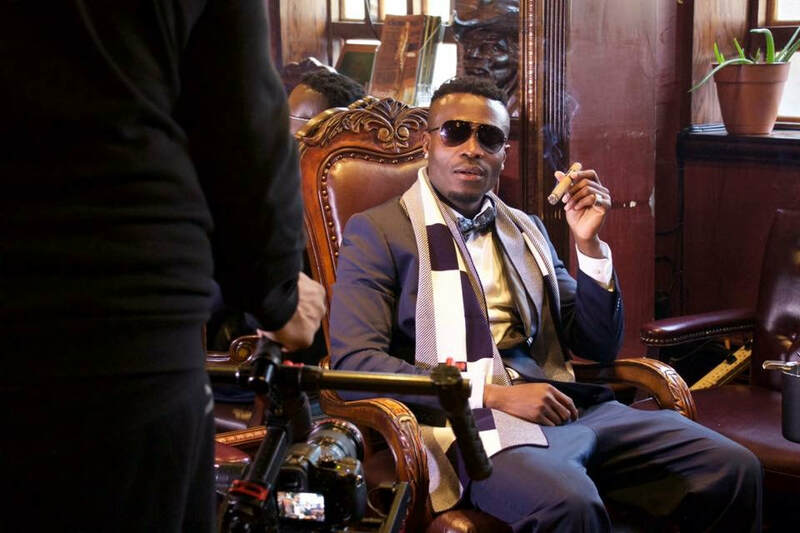 In 2017 G-Wreck signed with 100 Keys Entertainment; an independent entertainment company and in October of the same year G-Wreck appeared on the compilation EP entitled “Before The Fame”. G-Wreck provided the chorus for the EP’s first two lead singles. With the release of “100 Keys” and “Nightmare” G-Wreck and 100 Keys began to quickly make an impact on the music industry, garnering featured postings on music news sites, blogs as well as garnering airplay on several major radio outlets including both New York juggernauts Power 105.1 and Hot 97. G-Wreck distinctive style and delivery made him a stand out star of the “Before The Fame” project and now with the wind at his back, G‐Wreck is ready to showcase his talents with the release of his debut project. And if “Lost For The Night” is any indication his upcoming EP will be a classic offering. "Lost For The Night" is an up-tempo Caribbean pop influenced song that features fellow New Jersey artist Swag Luciano and will certainly be a smash hit. In early January, the single was serviced to blog, music websites industry insiders and tastemakers alike. in addition, the social media response has been overwhelming with fans clamoring for its digital release. “Lost For The Night” was made available across all digital streaming services including Spotify, Tidal and Apple Music on January 16, 2018. This is only the beginning for G-Wreck, one step toward what will be a fruitful musical career. Michael "Boogie" Moore President of Mike Boogie Promotions, Ride With Me TV joins with In My Bag Entertainment, Live Your Dreams LLC and Shark Life Music Services to raise money and gather donations of toys, clothes and food for this holiday season. Mike Boogie is the Regional Manager/Marketing Director for the entertainment/celebrity talk-show Ride With Me TV, which airs on WWOR TV MY 9 in NY NJ CT and PA, and will be available on Amazon Prime in 2018. Ride With Me TV features an ensemble of talented hosts and hostesses interviewing some of the top celebrity and political figures in the country. Starting Saturday December 9, 2017 at "Soul Brunch" at The Manhattan Brew & Vine located at 998 Columbus Ave, New York, NY. Each and every week Mike Boogie Promotions' "Soul Brunch" has become one of the hottest weekly day party events in the tristate area. The events features soul food, dancing and top 40 music spun top New York deejays. Mike Boogie is donating a percentage of all proceeds towards the holiday toy drive and patrons are encouraged to donate toys and clothing upon entry. In addition on December 23rd, Mike Boogie Promotions, AOS Entertainment, Ride With Me TV, Tastemaker Events and L&B Consultation has joined as media and event sponsors for The In My Bag Entertainment & Company's First Annual Holiday Toy Drive. The goal is to gift 1000 toys to the families in the Bronx and Brooklyn NY during this holiday season. ​Independent Dancehall Artist Jay Bankz Riding High Off With "Successful Summer"
Reggae & Dancehall artist, Jay Bankz releases his new single "Success" to high praise from fans and industry insiders followed by an appearance on the remix to rising R&B star Nyasia Chane'l's single "Do It like that", the latter debuting on New York's City's Power 105.1FM. Jason Daniels aka Jay Bankz was born and raised in Jamaica, he spent his formative years in St. Catherine and later Spanish Town, in which he credits as shaping him into the man he is today. 2010 he was afforded the opportunity to immigrate to The United States and further his education in the engineering field. Bankz Settled in New York City and started to record extensively, recording demos and honing his craft and released his first official single "Inna Di Video" in 2014 an achieved moderate success in dancehall circles. "Inna di Video" produced by junior Dancehall/Reggae producers Anthony Records and distributed by 21stHapilos Entertainment. With "Inna Di Video" Bankz, forced the people both fans and fellow musicians to take notice in the young man's talent and versatility which would be on prominent display with his subsequent offerings. Jay Bankz Followed up his debut in 2014 with the singles, "Tightest Boom Boom"; an up-tempo club banger and "One Love" an impressive reggae ballad discussing the many forms and shapes love can manifest. Distributed by Star Status Records, "One Love" was produced by Abstract Records a production team from Malawi Africa & Kenyan Far East Empires. With three legit singles under his belt, Jay Bankz continued writing, producing and performing throughout the East Coast region of the United States, while keep in close contact with friends and family back home, knowing full well the struggle they endure on a daily basis while at the same living in the richest nation on Earth and witnessing parallel plights and began to craft a song that speaks to these issues on a global level. "When I talk about changing the system, I'm talking about re-instating community development programs for the youth, Most, if not all of the programs are no longer being promoted to get the youths involved," he said. What Jay Bankz is referring to is Jamaica's National Youth Service initiative championed by then prime minster Michael Manely during the 1970's which began to be dismantled and ultimately rolled back completely during the 1980's as the global priorities of most nations began to shift away from social programs and place limits on government guaranteed job subsides. In Bankz view this shift is has been detrimental to young people across the world. While "Success' began circulating through the dancehall and Caribbean music network, Bankz was recommended by veteran music producer and executive Sean "Due" Lashley of Up Top Click Entertainment to appear on a remix of Caribbean pop record by a bubbling singer Nyasia Chane'l. L&B Consultation's Jayson "J-Didda" Butler was looking for a talented deejay to appear on the record and reached out to Lashley for his opinion on who he felt would fit best with the sultry sounds of the young starlet. He immediately thought of Jay Bankz and the rest as they say was history. In June "Do it like that" Remix was recorded and the two began performing together in various venues in New York City and then on July 29, 2018, DJ Norie debuted the remix on Power 105.1 and the song is fast becoming a hit, receiving nearly 10,000 streams across multiple platforms in less than two weeks. Jay Bankz is a talented artist with a promising future and is one to watch in the coming months. of Attorney. His career has largely involved these practice areas. primarily serving financial institutions, mortgage lenders/servicers, and small businesses. commitment to serving his community while exhibiting an impressive entrepreneurial spirit.” – A. University School of Law in Hempstead, New York. to level the playing field! 2017 were at a new all‐time low. a force for justice through its zealous advocacy for its clients. 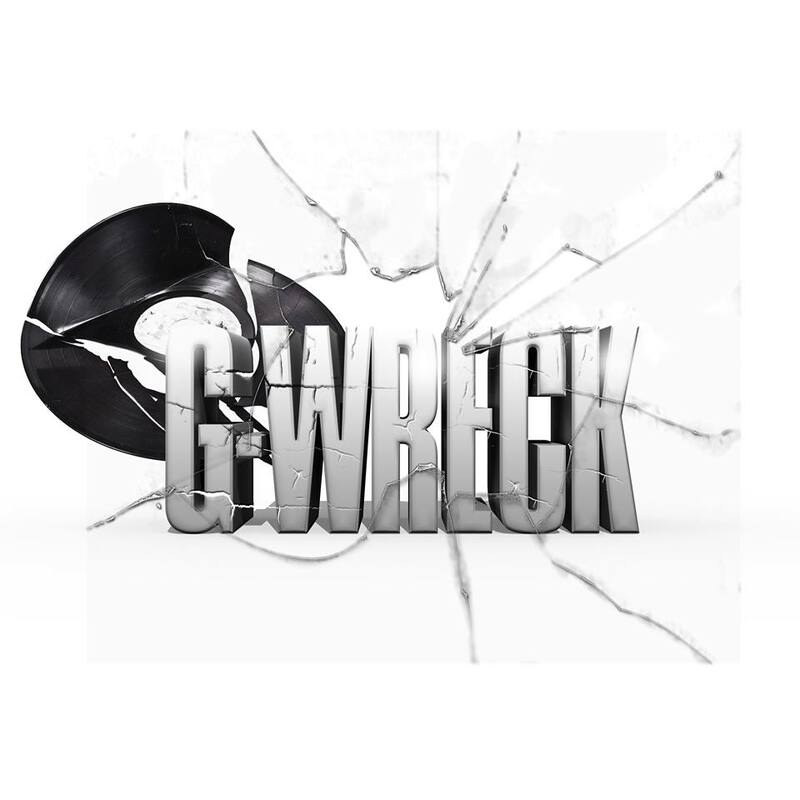 Independent artist G-Wreck's debut single released on January 16, 2018, has been well received by the public, industry insiders, deejays, and tastemakers. In less than a month "Lost For The Night" has gained over 225,000 Soundcloud streams and nearly 26,000 Spotify streams, in addition, the record has been added to 15 playlists and counting. G-Wreck is featured on several blogs and industry websites such as Thisis50.com, Backdoorhiphop.org, FlyahMagazine.com and many more. G-Wreck is continuing his "grass-roots" campaigns with scheduled radio appearance on top independent radio stations DTF Radio and DaMatrix Radio Network. With the remarkable response to "Lost For The Night", G‐Wreck is set to release his debut EP "Look At Me" this Valentine's Day (February 14th, 2018). The extended-release will be available on all platforms (iTunes, GooglePlay, Spotify, Apple Music etc) and is pack full of club friendly and radio‐ready hits. On the heels of their first single release "100 Keys" garnering major radio spins at several radio stations and Deejay support including Hot 97's Funk as well as Power 105.1’s DJ Self. Now in time for Halloween the Big three tandem of 100 Keys entertainment Wave Gotti, G-Wreck & Kaio Kane drops the new single "Nightmare"
Billionaire Burke Releases smash new single "What I Like"
Hailing from East Harlem, Billionaire Burke is an artist whose interest in music came into play at the early age of thirteen; as the result of exposure and inspiration stemming from a variety of musical genres including Jazz, Soul music and of course Hip Hop. Some of his inspirations include legends such as Mobb Deep, Raekwon, Ghostface Killah and The Notorious B.I.G. With those influences in place. Burke came to understand the importance of authenticity as the foundation of Hip Hop music. Burke endeavors to portray the gritty reality of the New York City streets, the birth place of Hip Hop as well as the city he calls home. Readying his new project "Rise to Greatness", Billionaire Burke is laying the groundwork with the street Anthem "What I Like". Powered by a well-produced video that captures the essence of the Billionaire Burke brand, "What I Like" is a swag filled club banger with a smooth delivery and infectious chorus. Burke is currently garnering and impressive radio response, his single is receiving spins on New York's Power 105.1 and Hartford CT's Hot 93.7, as well the attention of several top New York deejays and tastemakers receiving heavy plays during prime time at various top New York clubs and dancehalls such as Lotus Fridays at Suite 36. Billionaire Burke's music is also resonating beyond the streets, clubs and radio mixshows. Adding to an overwhelmingly positive response to "What I Like"; several comedians, YouTubers and Social Media stars have included "What I Like within their online content and videos; this includes Ken Starrrz, Mr. Commodore, Eboi Crazy & Joselito Dapuppet. "What I Like" is only the beginning for this talented Harlem native and will undoubtedly be the launching pad to platinum success. 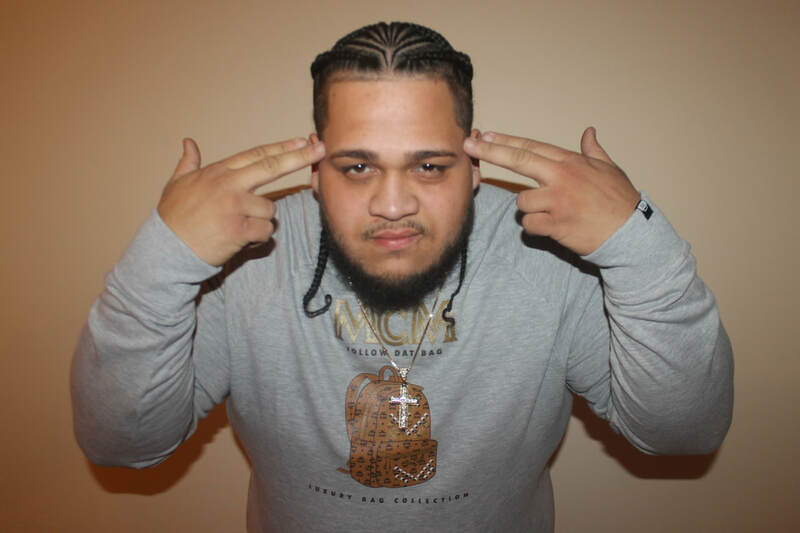 100 Keys Entertainment Releases New Single "100 Keys"
New York City based independent music imprint 100 Keys Entertainment releases their debut single titled “100 Keys” an up-tempo club banger produced by 360 featuring Wave Gotti, G Wreck and Kaio-Kane. Produced by 3Six0. Their lead single and label name-sake is already being well received by the public and media outlets alike. Coming out the gate strong “!00 Keys” is currently garnering major radio spins such as Hot 97s DJ Funk Master Flex’s Mix show as well as Power 105.1’s DJ Self mix show. In addition “100 Keys” has been added to multiple blogs and hip hop websites such as Thisis50.com as well as several high profile playlists including Funkmaster Flex’s own Playlist. Although 100 Keys entertainment was founded in the world famous Marcy Projects the label has a deep roster of talented artists from all over the country including New York, New Jersey and North Carolina. The people should look forward to a diverse range of styles and sounds on the forthcoming full length album, entitled “Money Over Fame” coming soon.